Cosmic Earth will be at the Valley Fourth this Wednesday. I believe we will be set up on Court Square. We are told that the entire day is dog friendly and that there will even be a ‘dog station’ near our stand. 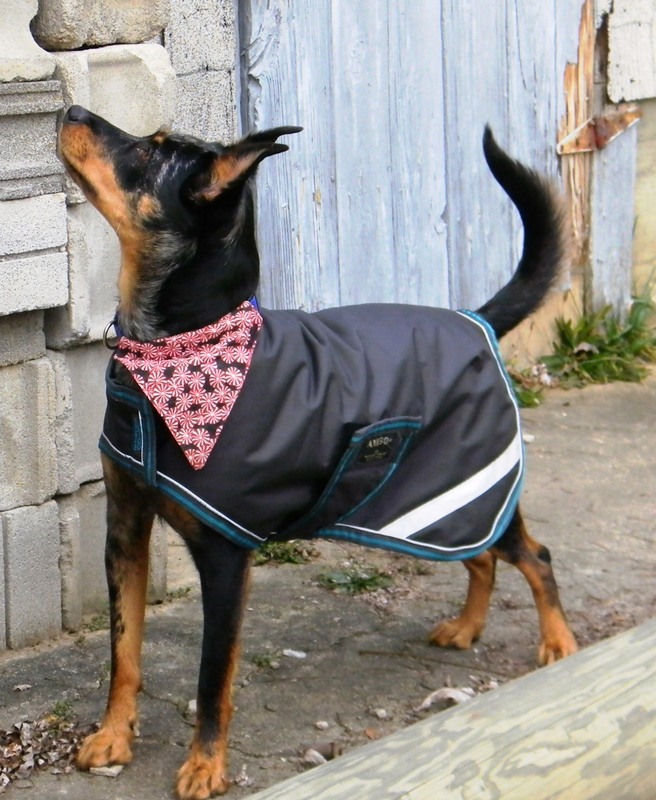 We will have all of our regular stuff including a selection of Fourth of July dog scarves, collars and leashes. Daisy Dog is planning to assist us in the stand for the day as a retail customer service dog. The event can be viewed on Facebook and on the events page at downtown Harrisonburg’s site. 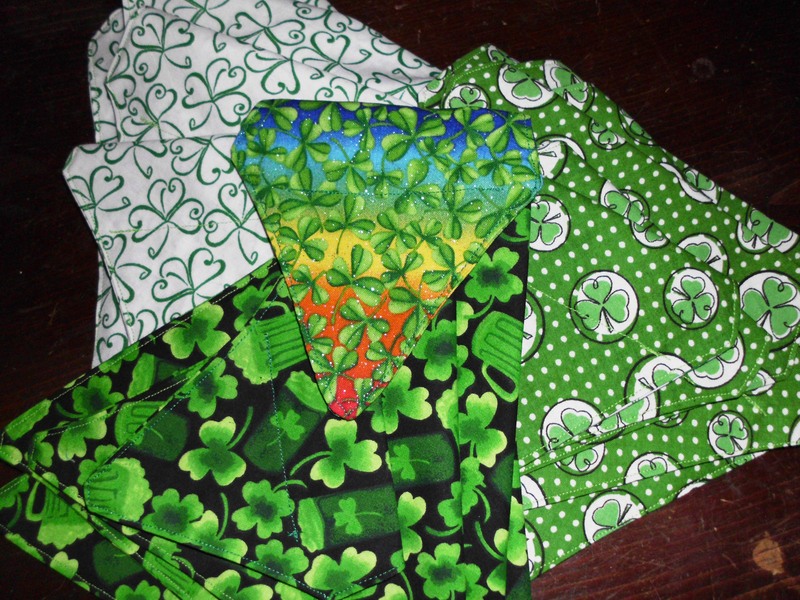 We will have an assortment of Saint Patrick’s Day dog scarves available this weekend for your favorite festive pooch. I have also been finishing up some of the dog collars that are pictured in the previous post on here, and will have a lot of those newly available. We will be in stall #11 bright and early Saturday morning, stop by and say hello! The market was closed New Years Eve, and we opted to take off January and February so we would have time to recoup and work on stocking up our stand. 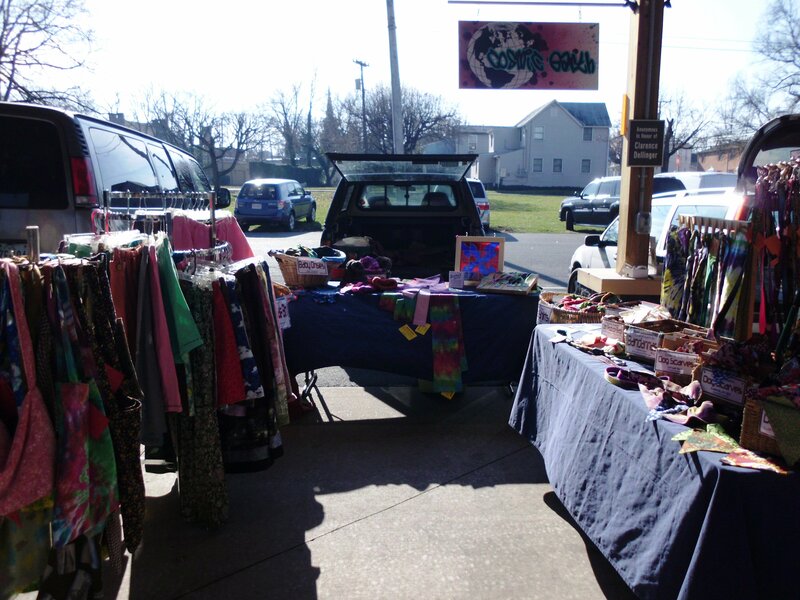 That means that this coming Saturday will be our third Saturday in a row that we have not spent at the market. Yeah, it’s great to be able to have a leisurely Saturday morning to sip some coffee, make some breakfast and play on the computer. Having the option to run some errands and maybe get some house work done or watch a movie is amazing. And it’s great not having to get bundled up in thermal layers and then go stand around outside for a few hours trying to keep warm. You know that little, foot to foot, must keep the blood flowing to keep warm, but I can’t leave this 3 foot by 3 foot space in my stand dance? It’s very similar to the bathroom dance. It’s pretty nifty not having to do that on Saturdays, and still be able to feel our toes. But the market is not just a source of income for us, it’s also a part of our life, where we see friends and do a little shopping. We spend our market time hanging around with diversely-likeminded farmers and crafters and talk about exciting topics like the weather and whose planting what. We are on closer terms with some fellow vendors and market goers and we catch up on each other’s week’s events, talking excitedly about new craft projects and bouncing fresh ideas off of each other. It’s the main, and usually the only, social event in our weekly planner. And if we miss too many cold month markets, what are we going to do with the economy sized box of Hot Feet warming inserts we have? Our black bantam hen lays tiny white eggs. Our hens have been on vacation for about two months, but they are just starting to get back to work. I have been checking their nesting boxes about every 3 days and yesterday I found a small pile of eggs, that appear to be from two different hens. Yea! Its about time, I actually had to BUY eggs the other day. Now that they are laying again, I’ll be checking the nesting boxes everyday. If you have never had chickens you might not be aware of some interesting (or maybe, not so interesting) practices chickens stick to. Hens take vacation from laying when they are malting (shedding and regrowing feathers), when its super hot, if they are overly stressed and during the late fall/winter when days are shortest. They can sometimes be forced into laying during the winter by using a light in their coop to extend day light hours. But if left to husband their selves, hens will begin laying again, a few weeks after the first day of winter, after the days have begun to lengthen. One of the things I hear the most from non chicken people is that they are unaware that hens will lay eggs without a rooster around. But yep, just like people, hens still ovulate even if there’s no male strutting around to excite them. In fact, most commercially laid eggs come from chickens that are stuffed into cages that do not allow them to move around very much, and there are no male chickens anywhere in sight. If a rooster does live with a flock of hens, he will be happy to husband all of the hens. This includes tasks like protecting the flock and patrolling the grounds (ever heard of a guard chicken), as well as fertilizing the eggs. These eggs are still good to eat, and will not develop into chicks as long as they are collected and refrigerated daily. It takes about 22 days for an egg to hatch. A good layer will produce four or five eggs a week, but only one egg a day. I once heard a new chicken owner friend comment that one of her hens finally started to lay and had popped out three eggs that day. More realistically, three of her hens chose that day to start laying eggs, or my friend had not checked closely enough for eggs the two days prior. Hens lay pretty steadily for two seasons and then their production begins to trickle off. I have also been asked if white eggs come from white chickens and brown eggs come from brown chickens. Nope. Chickens can lay all different colored eggs, regardless of their feather color. But the color egg one chicken lays does not vary. That same chicken will always lay the same color egg. 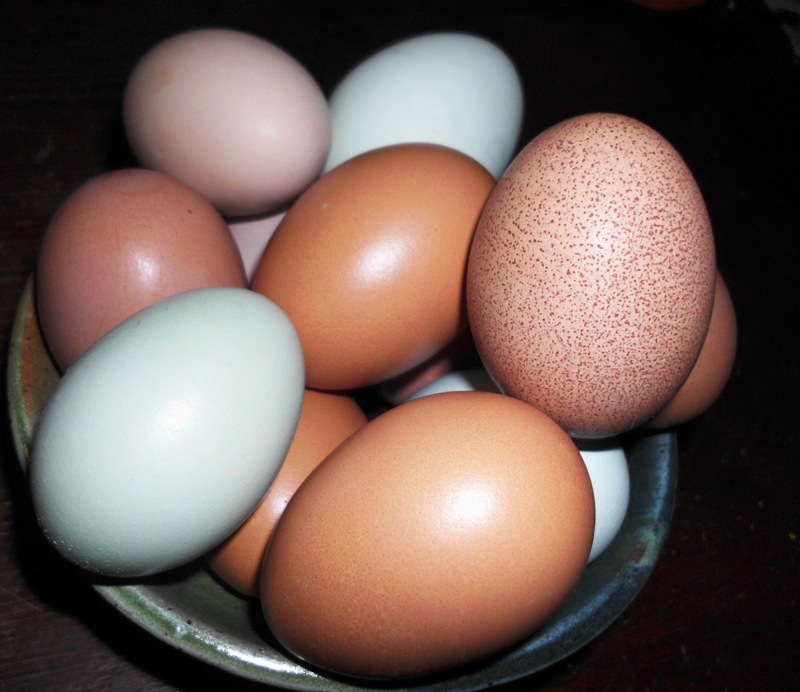 Some chickens lay green, blue or even pinkish colored eggs. 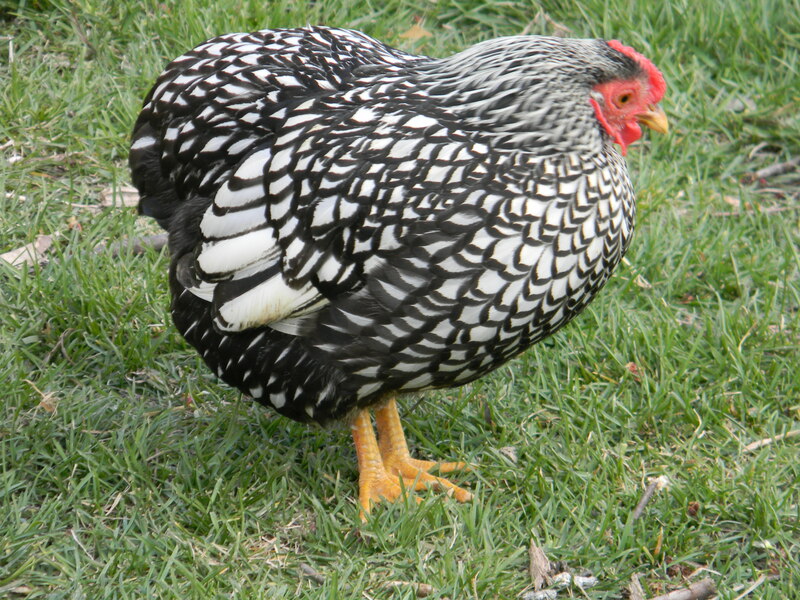 These chickens are commonly referred to as easter eggers and are either Ameraucanas, Araucanas or a mixed breed. 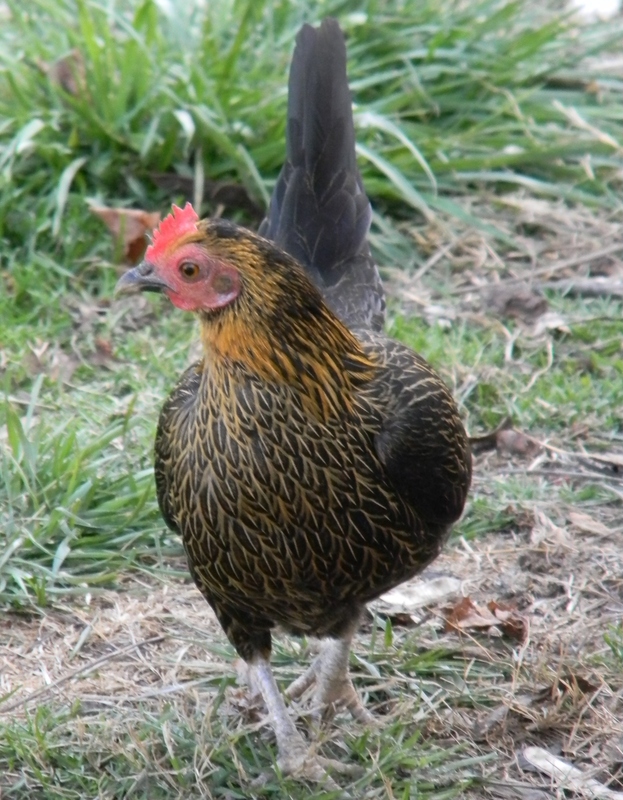 Our hens are a mixed flock that and we do not have a rooster. I picked out a variety of colors and breeds so I would have a pretty flock to prune my yard and also a variety of egg colors. 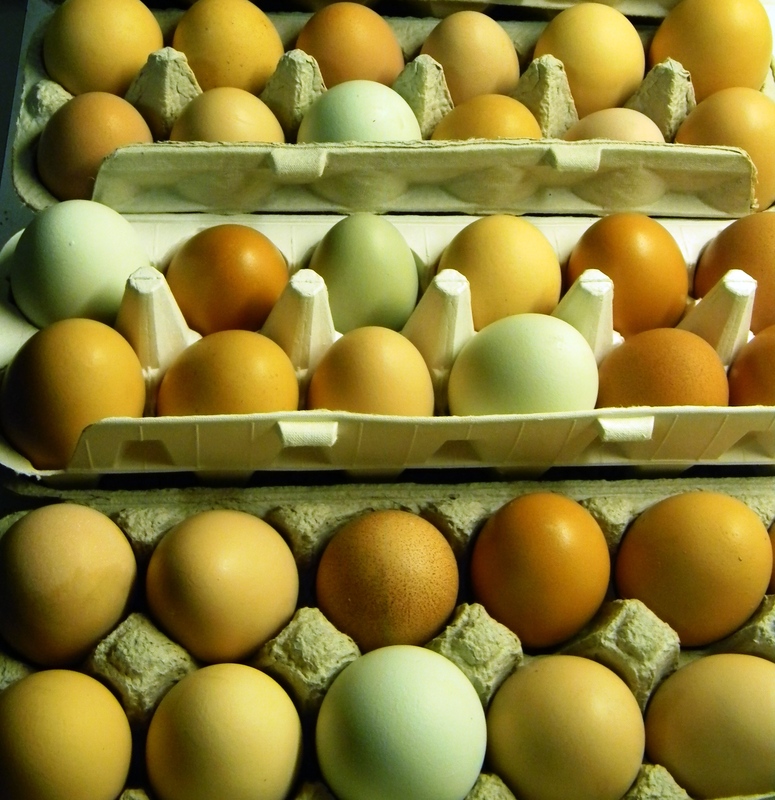 We get dark brown, almost brick colored eggs, speckled eggs, green eggs, light brown and one hen even lays classic white eggs. They have a chicken tractor house inside of a large hen yard that encloses some trees and bushes for them, and also allows them to stretch their legs under the porch during wet or excessively hot weather. They forage for grass, bugs and worms and love when we give them vegetable scraps. We also supplement their diet with layer pellets, cracked scratch corn and some oyster shells (which help keep the shells of their eggs tough). We allow them to roam the yard on occasion and do not attempt to restrict any of the hens that choose to fly over the fence and explore other areas. The only reason we do keep them fenced in at all, is to prevent them from messing around in our garden and to make finding eggs easier. 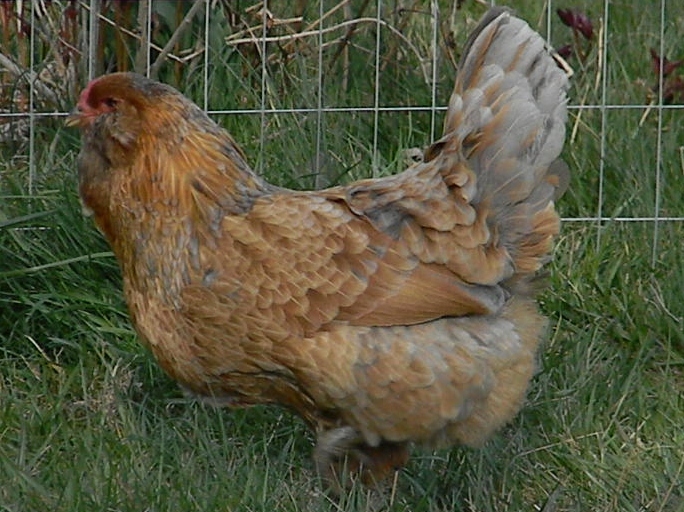 Our Wyandotte hen lays very light brown, almost white eggs. It is starting to feel like winter, we even saw a few flurries today. We bundled up and went out to enjoy some sun. Daisy was sporting her peppermint scarf while on squirrel patrol. We still have the bonus market on Christmas Eve this coming weekend, but this past Saturday was the last official market of 2011. Here are some images from our stand. 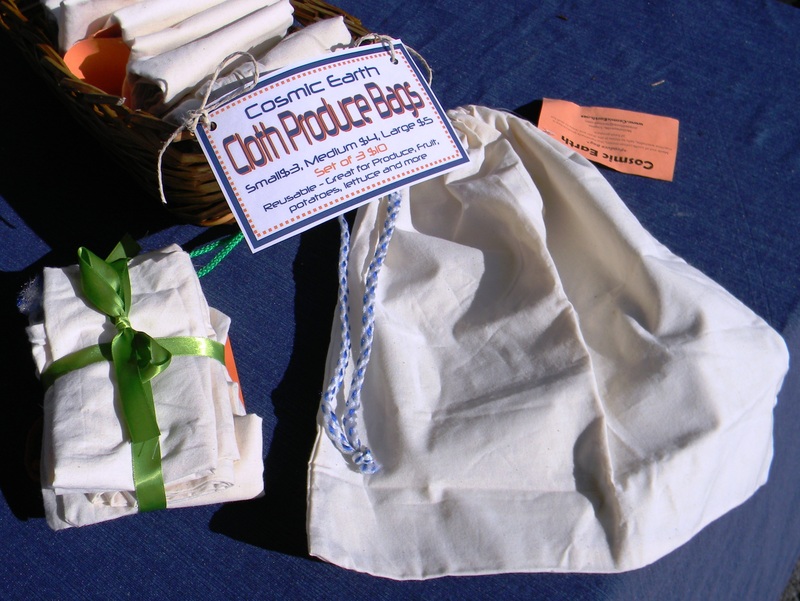 Reusable Cloth Produce Bags ~ Our reusable cloth produce bags have been a popular holiday gift for the past two years. When shopping, replace thin plastic produce bags at the grocery store or farmers market and fill theses stronger bags with lettuce and vegetables or pile in apples and potatoes. They won’t rip with heavy items piled in them and unlike plastic bags, these cloth bags breath, so vegetables can be stored in these bags in the fridge or pantry for longer periods of time. They also double as reusable lunch bags. 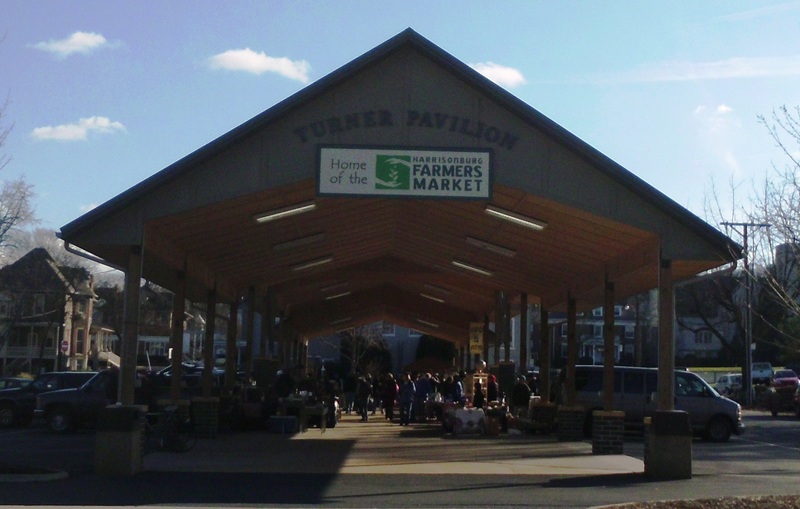 Tomorrow is the last official market of 2011, BUT we are having a BONUS market next Saturday on Christmas Eve. Finish your last minute holiday shopping, or stop by for some fun with family and friends.